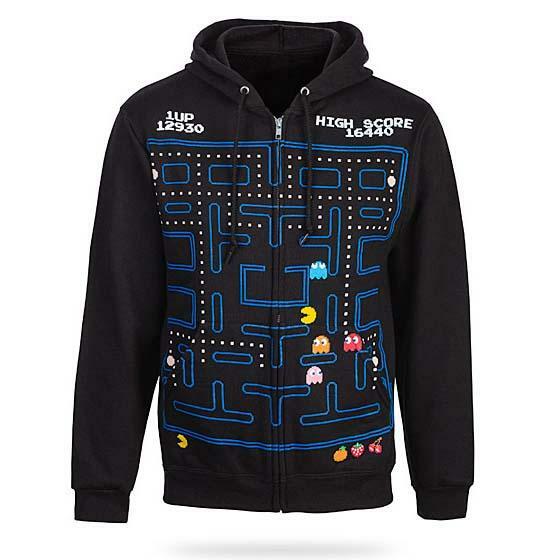 This is an officially licensed hoodie themed by Pac-Man, the famous 8-bit retro video game. 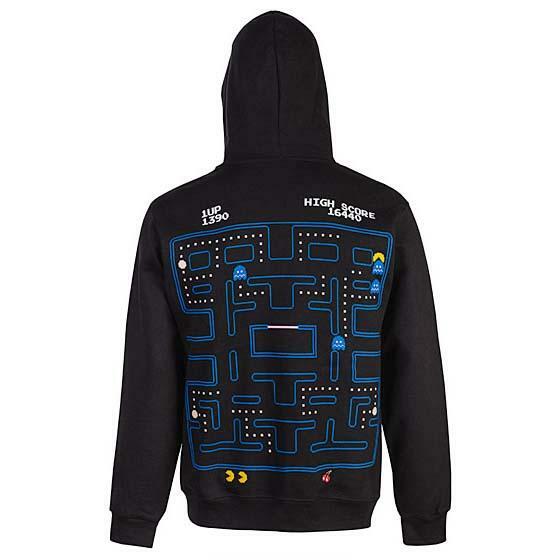 As we can see from the images, the full-zip, black hoodie features an all-over print of Pacman gaming image on the front and back, and each print comes shows you accurate colors and subtle details from the video game. Moreover, the Pac-Man hoodie is made from 80% cotton, 20% polyester, and has two pockets in the front. The Pac-Man hoodie is available in 5 sizes, and priced at $49 USD. If you’re interested, jump to ThinkGeek for more details.